The easiest way to feel the paragliding experience! You will fly with a professional & experienced pilot. A little briefing at the take-off and a short run and you will be seated comfortably in the air, enjoying the peaceful glide of the paraglider, soaring close to the landscape and, just for the bravest ones, doing some aerobatic tricks before to land smoothly. The suggested air time in your first tandem flight is 20 minutes. 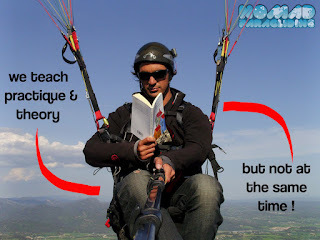 If you want to stay longer (the first symptom of paragliding addiction!) and the weather conditions are appropiate, we can do it! Be able to run few meters to feel the experience of flying (almost) as a bird. Weight: Min. 30 kg / 66 lb. Max. weight: 90kg / 198lb. Age: under 18, we request a signed approval form from parents or legal guardian. Trekking or sport shoes with a good grip sole. Jacket, windstopper... it's always colder upthere! Long pants suggested. Spring - summer 2019, Obertsdorf valley, Germany: 149 eur (VAT and liability insurance included). Photos extra service: 29 eur (SD card included). Video extra service: 49 eur (SD card included). 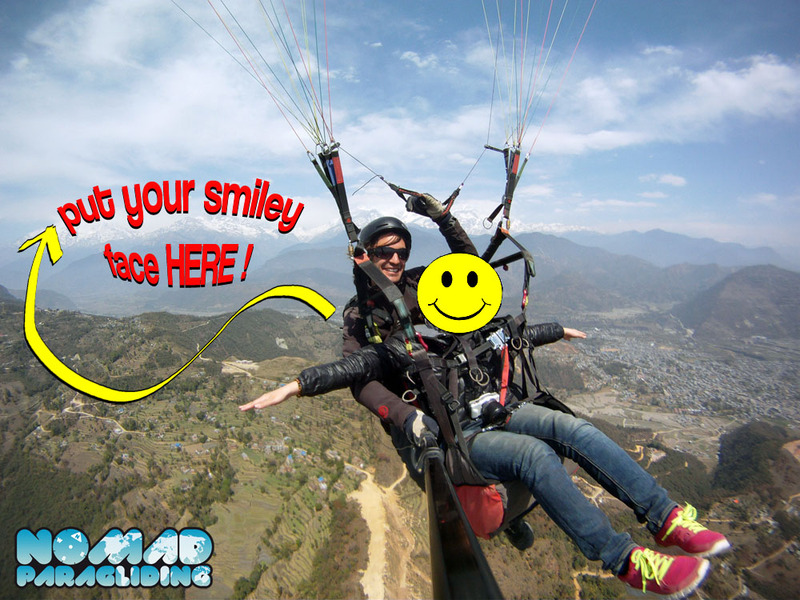 To get a spot, book a date in advance by email (info@nomadparagliding.com). We fly 5 times a day if the weather is good, from 8:30am up to 16pm. Booking is free. If the weather is not suitable we don't charge you! The whole activity takes around 2 hours. We are in the hiking town of Oberstdorf, in the bavarian alps (Germany). The meeting point for this summer 2018 is in front of the Vogelfrei Office, next to the cable car bottom station. Are you already a pilot? Do you want to improve your flight skills? Need some advices to fly in a new site? Or you want to join us in a PG adventure trip? 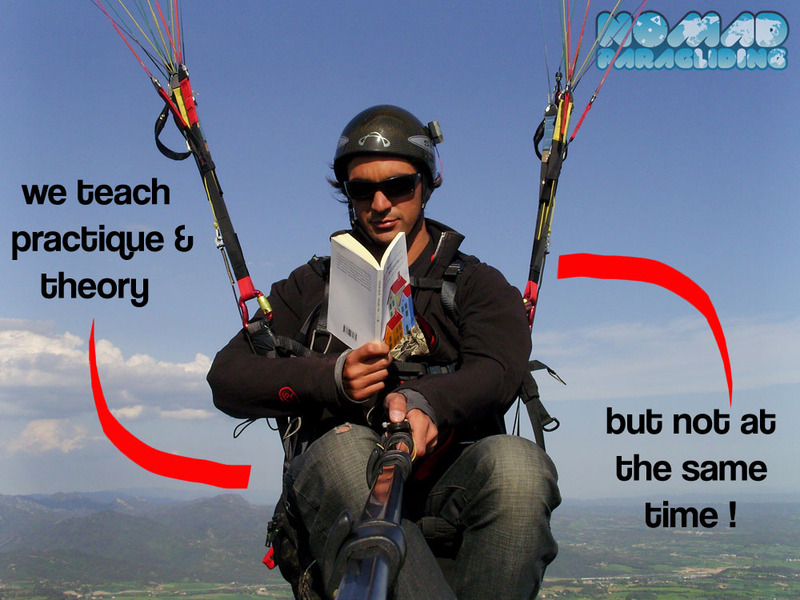 After a flight skills check and a chat we can help you to reach your next level on paragliding. We can also provide you with all information of the sites we know: XC possibilities, the best soaring times, safety tips... We choose the best day and the best moment to enjoy the top of each site! You decided to be a Paragliding Pilot? Let's go for it! We organise 4 paragliding courses per year. Contact us if you are in the right place / right time to joint us. To be an autonomous pilot you must do the entire course and exam. But if you don't have enough time you can stop at one of the next courses and continue later. 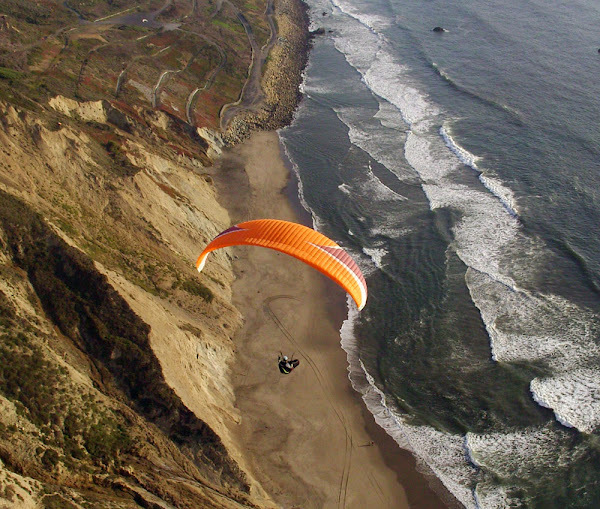 Running and agility are musts in the paragliding begginner courses. Weight: Min. 50 kg / 110 lb. Max. weight: 105 kg / 231 lb. From 115 eur / day, including: theory, flights, full certified equipment (rental) and transport to take-off. Or special price of 1.500 eur (100 eur/day) for the entire APPI Pilot course (15 days). We will attend your emails or calls personally for other questions. Contact us for further information and we will answer you as soon as possible. Check the APPI website to know more about the courses and the education system we use.